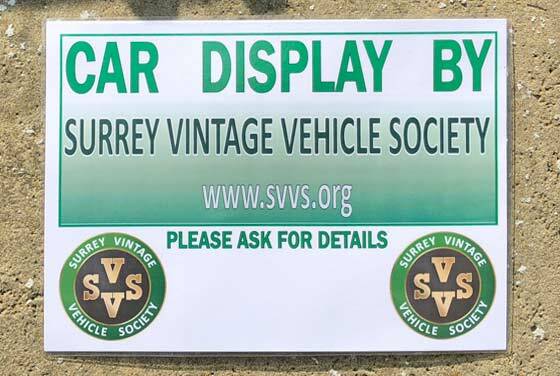 "Quite a good SVVS turnout - and mostly before the JEC members arrived. 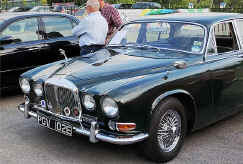 Peter Clarke, wearing a JEC badge, was an early arrival in his Daimler Sovereign. 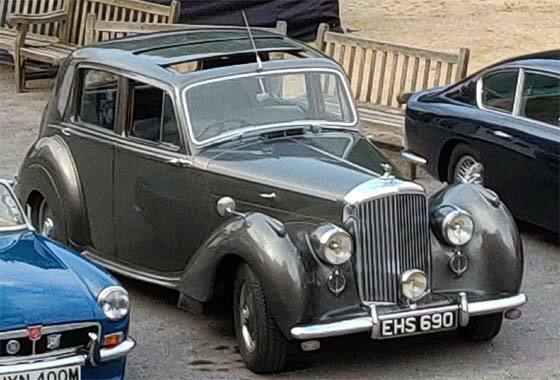 Also present when I arrived were Andy Belcher in his similar and equally smart Jaguar S-type, Chris Seabrook with his earlier Daimler V8 250 and Mike Gorman in his stately Bentley MkVI. After passing me along the motorway, Nick Woollett arrived just after, having missed the Campbell gate to Brooklands. 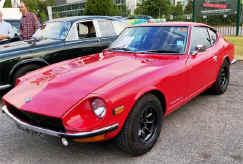 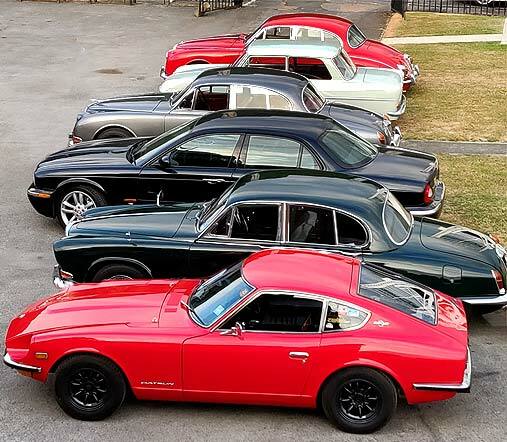 His Datsun 240Z is looking particularly dashing in a new coat of red and refurbished black wheels. 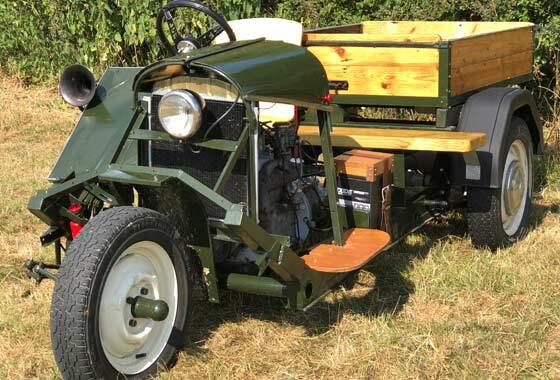 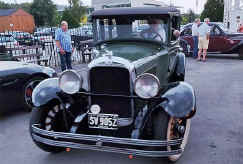 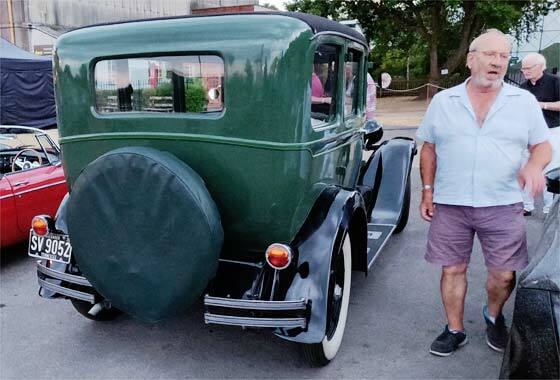 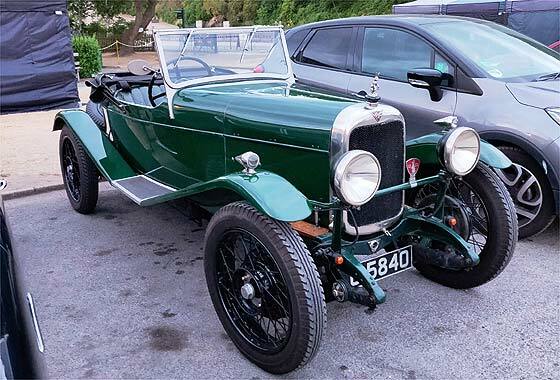 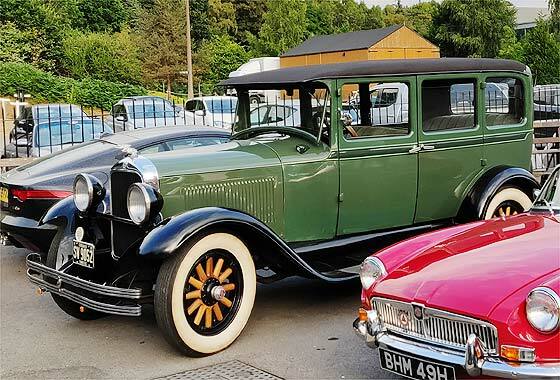 Nick Johnson took the opportunity to put a few more miles on his newly acquired 1928 Studebaker, while John and Jenny Morgan arrived in their faithful MGB. The clubhouse was open but, as expected, the rest museum was not. 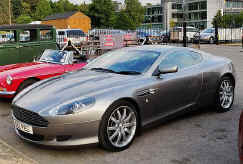 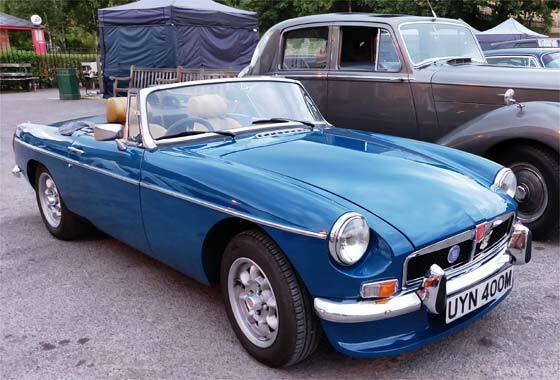 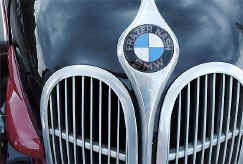 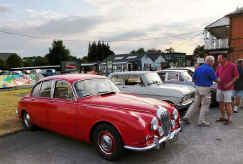 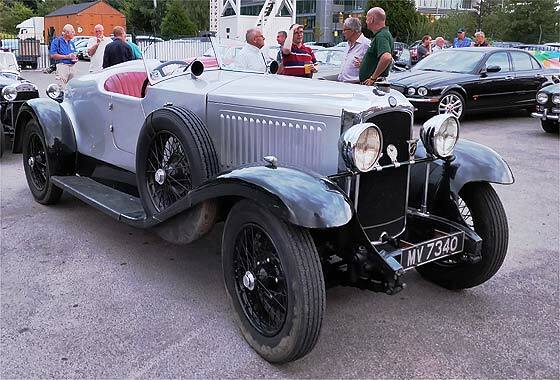 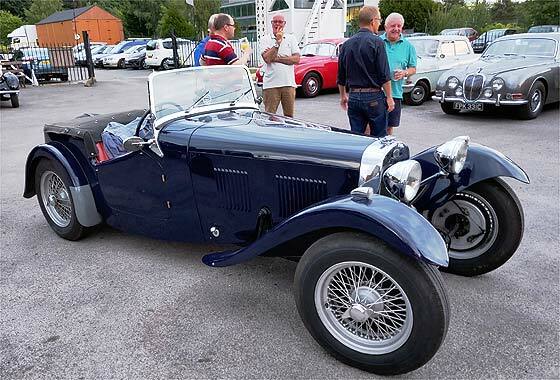 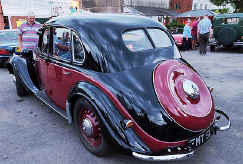 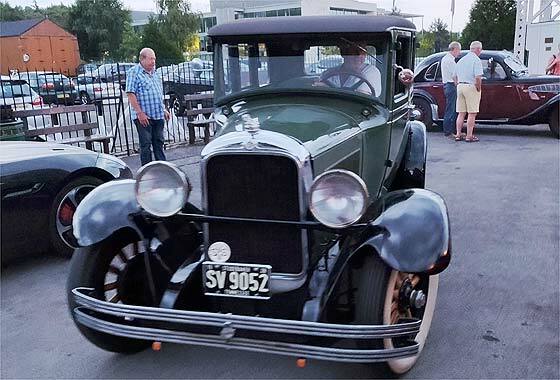 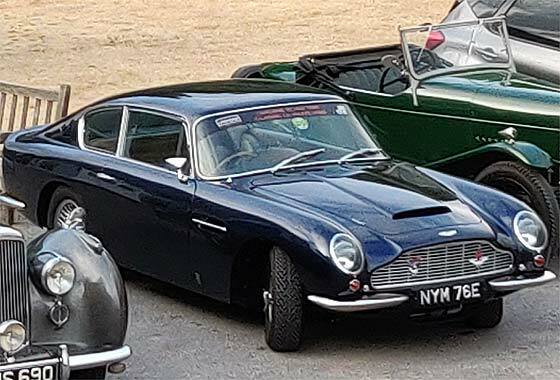 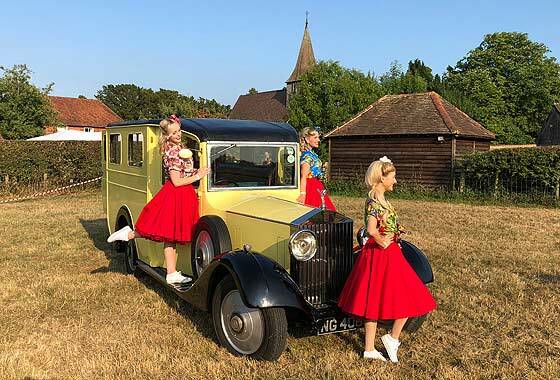 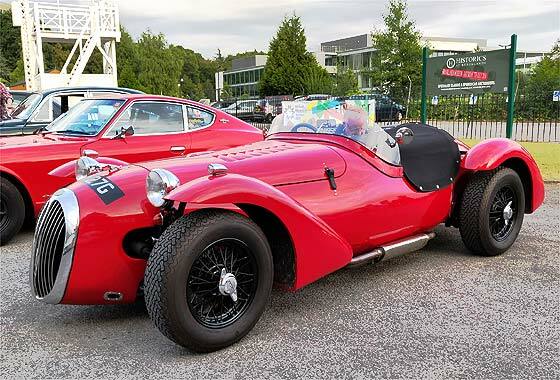 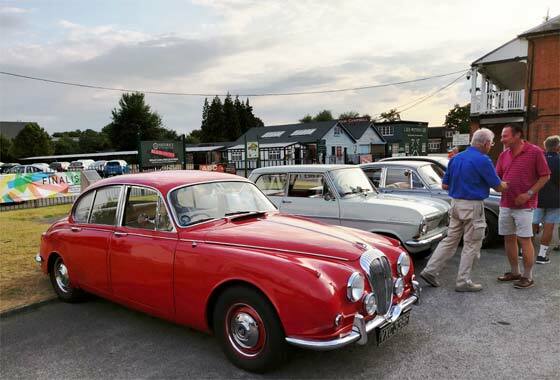 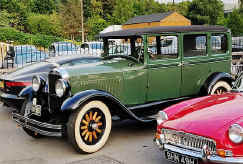 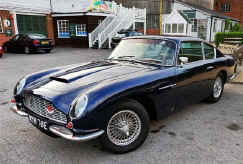 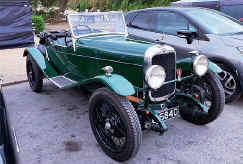 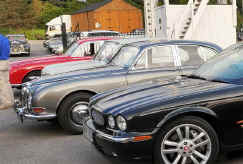 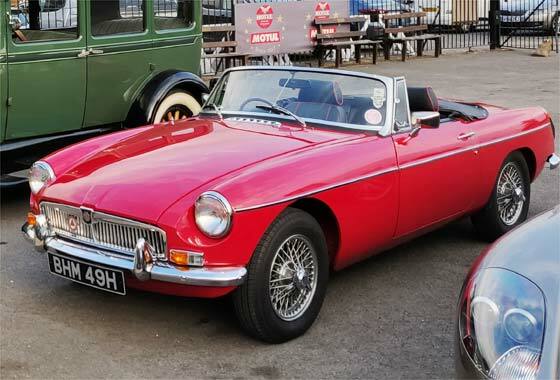 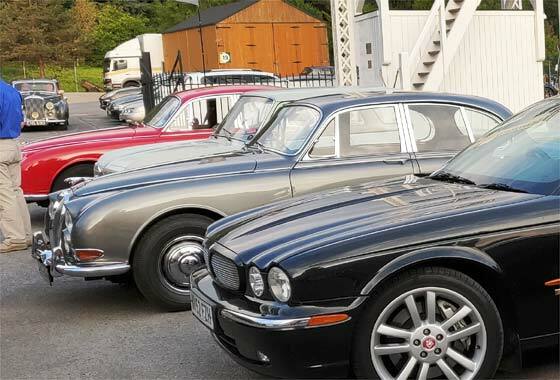 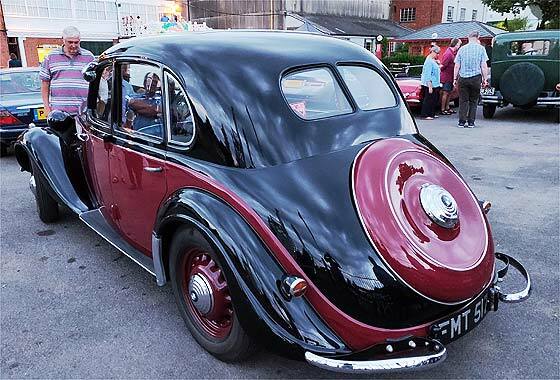 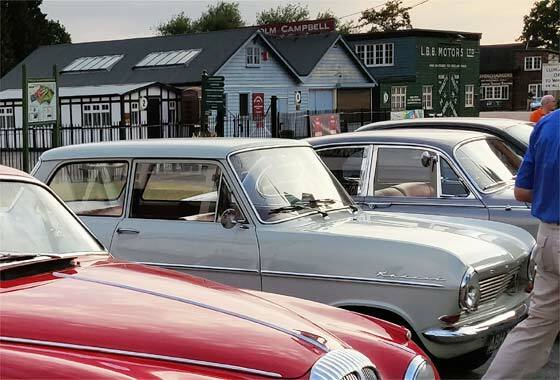 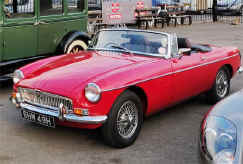 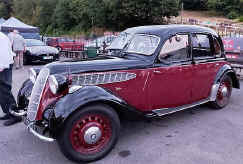 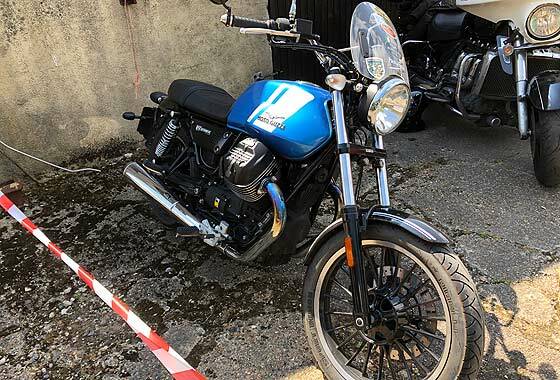 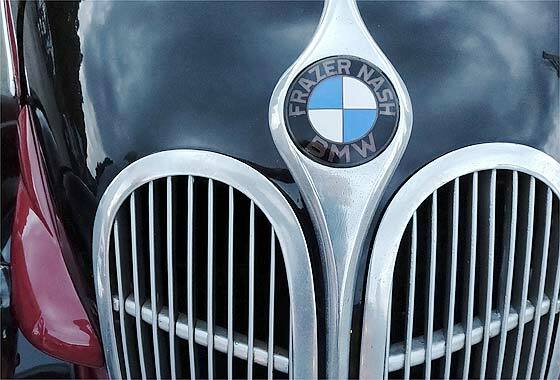 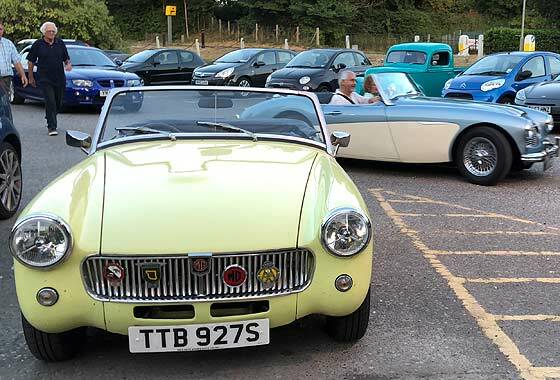 However, a fine sociable evening was enjoyed while admiring some interesting cars, including a Vauxhall Hurlingham, rare Fraser-Nash BMW, Alvis 12/50 and Aston Martin DB6."